How strange it may sound to you, is the reality of prostitution in India. The advances in technology are free to be used by everyone and exploited, like in this particular case. Prostitution not always means filthy balconies and stingy room and minor girls trafficked into the brothels without their consent and with false dreams. As truthful as these circumstances are, this is a totally different area. 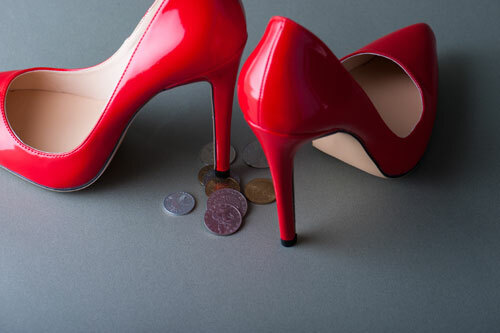 Here prostitution means girls who are good looking and want to lead a lavish lifestyle and have no problem in selling their body for the cause. Mostly these college going girls are in this to earn the ‘extra buck’. As my friend who worked in an NGO in Allahabad puts it, “to buy those levis jeans”. All these girls have to do is find herself an agent. Price range from one of their websites. This is the pimp, who has contacts in the local authority and keeps track of the girl’s security. The pimp procures the clients for the girl and negotiates the price. In return, the girl has to pay him his commision, sexually or in bucks. The price for a client can range from 15k to 35k depending on the hours of service. To know more about the working of this prostitution ring, I made a call myself and yes, I did buy a girl online or I should say came very close to buying the girl. The whole call lasted for not more than 3 minutes and at the end of the call with this pimp. I had finalized a girl, all the time while sitting in my room. The thing that struck me was, it’s that easy. While I have recorded the audio, I can’t share it with you right now. As I am working on a video and need to interview some people before I release it. So keep a watch for it. Next week it’ll be done. Why is the government not able to catch these pimps? was my second question. If I can do it, why can’t the police do a sting and catch them? Well, the answer is not that simple and I am still trying to understand the scenario. There are some legal complications that keep the police from catching them. Japreet Grewal, programme officer with the Centre for Internet and Society, Bangalore explains it quite in detail. Read her article in the scroll.in here. Choice: To let her die. How I committed a crime in 3 minutes and no one knew. Thanks for the appreciation Madhu. Hi, I want to have a quick conversation to work with you.